If this sounds like your current situation, you need non-competitive games as fillers during your ministry time. These games makes all kids winners and focuses on entertaining the individual without pairing kids against one another. Keep a list of these non-threatening games handy to use whenever you need a bonus game for children’s church. If you have other ideas you would like to share leave us a comment below. Other readers will benefit from your feedback on this article. Hide a group prize in the room before class begins. Draw a map or give clues to the group and encourage children to work together. Get real interaction by giving them clues that must be solved together. Give each child a letter of a special world and have the children unscramble the word or phrase to locate the treasure. Before Sunday School or Kids Church begins, write several animal names or Bible characters on slips of paper. Kids get to randomly select and act out what’s written on the paper. For fun, have kids work together in pairs to act out their characters. These games are good for building stronger groups. There are lots of different icebreakers you can use but this one is my favorite. Start with a large ball of yarn. Hold the end string of the yarn and toss the ball to another person. Before you toss the ball, ask a question like “What’s your middle name?” Questions are asked, the ball is tossed and pretty soon there’s yarn everywhere! You’ll need four or five large Hula Hoops to start this game. When the game starts have all the children gather together inside the Hula Hoops. Do this while the music plays. Remove the hoop and tell kids they have to squeeze into the other hoops or at least hold on to one. Keep going until you have one hoop and all your class inside and outside. Kids will work together to include everyone. Other non-competitive games like Catch the Mouse won’t have kids crying. You’ll need two balls for this games, a small one and a large one. 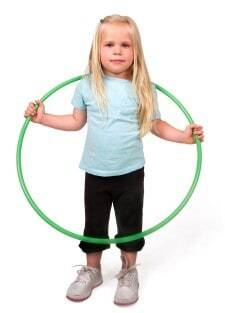 Have kids sit on the floor, they will use their feet and legs to move the small ball or “mouse” around the circle. Once the mouse makes it back home, to the original person, introduce the “cat.” The cat is the larger ball. The mouse has to move around the circle without being passed by the cat. Kids laugh and have fun playing this silly game. These non-competitive game ideas for kids ministry can be personalized any way you like. You can leave a comment below with any variations or related ideas you would like to share. Read more from Mimi by visiting her blog, Encouragement for Christians.